Congratulations to Ms. Minnie of Year 5 at St. Stephen's International School, Bangkok. Minnie recently competed in the 5th CSTD Thailand Dance Grand Pix 2018 at Aksara King Power Theatre, Bangkok. Minnie won 1st place both in Lyrical Duo 11 & Under and Modern Troupe 13 & Under. 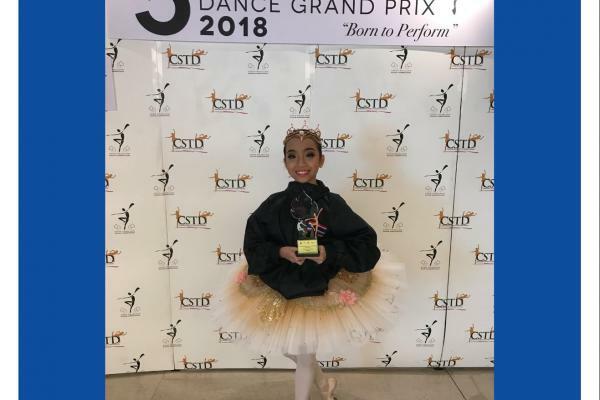 Also, she won 3rd place in the following categories: Classical Solo 11 & Under, Lyrical Solo 11 & Under, Novelty Solo 11 & Under, Classical Ensemble 11 & Under and she received an Honorable Mention in the National Solo 13 & Under and in Classical Troupe 15 & Under.